For over fourteen years, Women & Leadership Australia has been developing female leaders and supporting the increased presence of women in business and community leadership roles. Based on a simple truth, that women represent an enormously under-utilised national resource, WLA believe that supporting a greater percentage of women to step up into leadership positions enables tremendous cultural and economic benefits. The WLA initiative comprises a range of professional development programs, advisory services, networking channels, and on-going research. 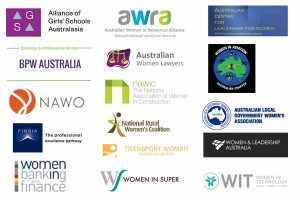 Since their inaugural forum in 2003, over 50,000 women have participated, making WLA the largest gender-focused leadership initiative in Australia. With so much experience in developing women, WLA are ideally positioned to respond to the ever-changing needs of contemporary female leaders and their organisations. Each year, employers across all sectors and industries choose to partner with WLA to develop the skills and confidence of their female leaders and help provide exciting new career opportunities.